A fishing trip is a relaxing and fun way to get away from it all, especially if you travel with a close friend or family member. 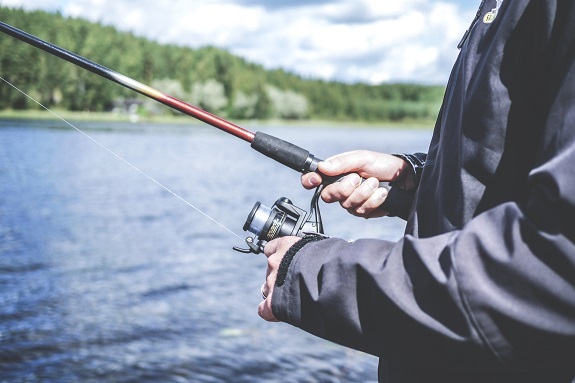 Whether you choose to go somewhere local or somewhere further afield, there are a lot of things that you need to consider when booking a fishing trip. Here are some things to add to your list to make sure you book the best trip possible. The location for your trip is important and will be the deciding factor for how long you spend there, how you get there and so on. Going somewhere relatively local means that you can drive and spend a longer time on your fishing trip, whereas having to travel somewhere further will mean that you spend less time there. Alternatively, you can fly to somewhere nearby to enjoy a fishing trip somewhere further away from home and make it more of a special occasion. Accommodation is another key factor to consider during your fishing trip. Will you camp or will you stay in a hotel? If you’ve got a motorhome, will you be taking that with you instead? Cost can be the deciding factor in where you end up staying but if you’re going to be outdoors and away from the room anyway, will you even care about accommodation? When deciding where to go for your fishing trip, don’t let accommodation be the deciding factor unless you’re going for a longer stay, as this is not the main focus of your trip. While it’s impossible to predict the weather, you can predict when the best time to fish is. Doing your research online first will help you to work out what sort of fish will be around, how many hours you can be out on the water and so on. There’s no point going fishing out of season or when it’s too cold and so on, so make sure you book your trip at the time where there will be optimal conditions for fishing. The next thing you’ll need to think about is your equipment. If you have equipment already, then you’ll need to check that you’re not missing anything and that everything still works. If you need new equipment (especially tackle), you should go to online providers like Otto’s Tackle World who can ship to you quickly to make sure you have everything you need for your trip. Clothing is important for your fishing trip – especially if you’re going to be fishing in wet weather. Check out lists of what to pack for a fishing trip to make sure that you pack everything you need for every eventuality. Layers are important for catering for all kinds of weather while you should always wear a hat and gloves to make sure that your hands and head are warm while you’re by the water. Your fishing trip should be fun, but it should also be safe, and you should follow basic travel safety when you’re away, as well as being more cautious on the water. Make sure you carry some first aid supplies with you – like bandages, painkillers, insect bite treatments and anything else you may need while you’re near the water. Take a good supply of water out with you wherever you go to stay hydrated and to avoid any accidents that might happen when you’re not wholly focused because of dehydration. Remember to take sun protection products with you too as you may need them if it is sunny during your trip. A fishing trip is a great idea, but if you or your companions aren’t keen fishers, you could find that the fishing alone becomes dull after a while, especially if you don’t make a catch. Research the area you’re going to be visiting to see if there are other activities you can try during your stay, or you can seek out great places to eat and drink to help you chill out during the evening. Booking a fishing trip is a great idea if you want to catch up with your family, friends or to go by yourself for a bit of peace and quiet and to get away with it all. With the right preparations, you can plan the best fishing trip ever and create some great memories too. Many people take up fishing to enjoy the different getaway options that are available so who knows what sort of locations you could find yourself in if you take the bait. Do you go fishing? What are some things you make sure are in place before you go out? Let us know in the comments section below. Previous Post Has Your Man Cave Got It All?